Founded in 1880 and now on the National Register of Historic Places, St. Elmo, Colorado, is considered a ghost town even though it does have a few inhabitants. The St. Elmo General Store (See photo in slideshow) offers a variety of goods and services. To view a slideshow of St. Elmo, click on any photo. If info about the photos is not displayed in the slideshow, click Show Info. 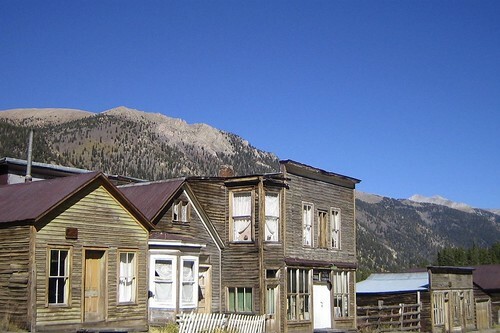 St. Elmo is located 20 miles southwest of Buena Vista and is considered one of Colorado’s best preserved ghost towns. It is definitely off the beaten path but not far off the route I’d chosen to drive from Indiana to Southern California in early October, 2007. Mining of gold and silver was the lure to St. Elmo, and the early population reached approximately 2000. When the supply of ore diminished, so did the population. For detailed information, go to http://en.wikipedia.org/wiki/St._Elmo,_Colorado. 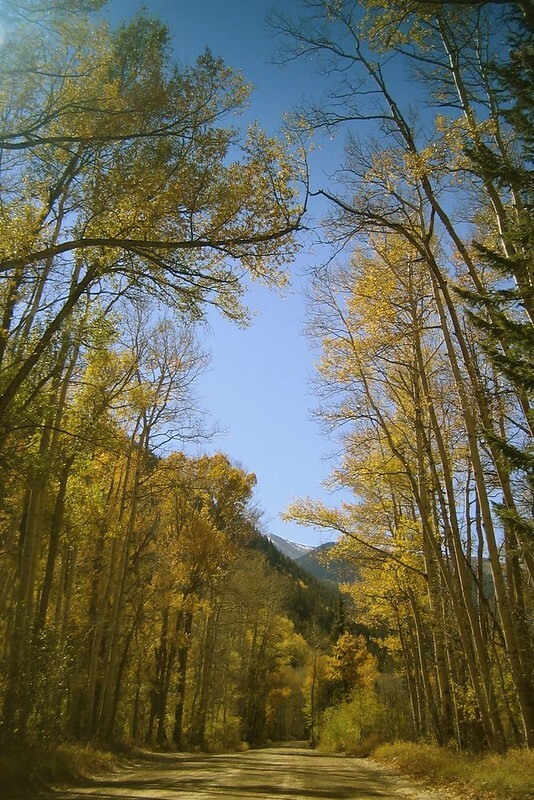 Much of my drive off the main highway on Chalk Creek Drive to St. Elmo was under a canopy of golden aspens. I loved all my time in Colorado that fall until snow started falling as I left the mountains, making me a bit nervous until I reached lower elevations. No, I do not have a 4-wheel drive vehicle! Note: I also drove to Crested Butte, another not-so-easy-to-reach place, the next day. Although you can take secondary roads from St. Elmo to Crested Butte (approx. 60 miles), I chose a more traveled set of roads that were twice the distance as the secondary roads. Since it was late afternoon when I left St. Elmo, I traveled to Gunnison for the night before proceeding to Crested Butte and then Telluride. My closest destination after Telluride was Page, Arizona and the Glen Canyon National Recreation Area. In this part of the U.S. there are few easy routes to reach my destinations. I’ve maintained my on-the-road lifestyle so I can allow time for these out-of-the-way places as I travel from one house/pet-sitting assignment to the next. My final destination on that fall trip was the San Diego area. In addition to visiting with brother Mike Lee and his family in Colorado Springs earlier in October, I had the chance to visit with Vicki Vaughan, one of my former yearbook editors at Lawrenceburg High School. Vicki excelled in sports and in academics in high school. After completing college, she coached college basketball and later high school basketball. Perusing the text Vicki wrote for the opening pages, section openers, and closing pages of the 1980-81 LHS yearbook evokes very specific memories of that school year; the photographs then solidify those memories. Thus the real purpose of a yearbook had been accomplished. 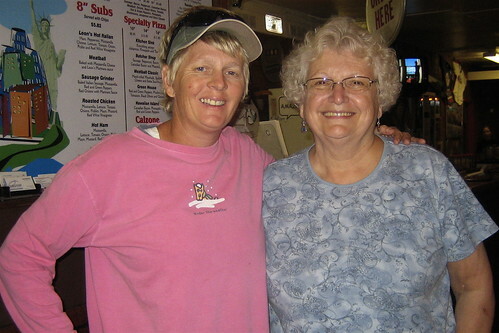 Vicki Vaughan and Joy Dean Lee smile after having consumed pizza galore on the all-you-can-eat night at a place near Vicki’s home.